5840 Sea Biscuit Road Palm Beach Gardens, FL. 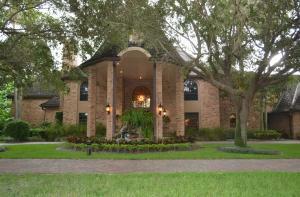 | MLS# RX-10164838 | South Florida property for sale. Palm Beach County short sale, REO sales. Driving up to this stately mansion is like stepping into an enchanting fairytale. Like a dream come true, awaiting you to make it your Little Piece of Paradise. Tucked away on a cul-de-sac on 2.31 acres, of brick and concrete block construction, you are greeted by the circular driveway, The exterior charm is only a preview of what awaits to be discovered inside. Across the front door, you are greeted by a welcome garden and water cascade. As you enter the inviting front door entrance through Mexican custom wrought iron and impact-glass doors, through the porte-cochere, you find yourself at the mermaid garden fountain. A medallion embedded in the marble floor foyer and massive chandelier above greets you in unison. The first floor expands to feature a formal yet gracious dining room, with custom window treatments and chandelier, anticipating entertaining company. An elegant formal living room, decked with custom window treatments, is accentuated by a magnificent black marble fireplace, as well as an adjoining room bar and wine cellar, counting on a wine tasting gets together. A cozy library, with hardwood floors, and built-in bookcase, is a ideal place to curl up and daydream. Rose marbled guest powder room, surrounded with walled mirrors. En suite room with private bath, marble and carpet flooring, California closet, and French door lead to a private terrace and garden. A sumptuous gourmet kitchen splurges a wine cellar enhanced with custom wrought ironwork doors, a separate wine cooler, ceramic stone flooring, granite countertops, stainless appliances, 2 door refrigerator, triple sinks, dishwasher, trash compactor, microwave, glass top stove and grill, 2 double wall ovens, walk-in pantry closet, and a China California closet. Daydream to your heart's delight while gazing out the tall windows, inspired to create luscious offerings. A cozy breakfast room surrounded with windows also leads to the back garden. A laundry room with washer, dryer, a separate sink, and plenty of storage closets. A cabana bathroom for guests coming back from the pool. An eclectic spiral staircase from the main entrance leads up to the second floor family room, entertainment center, game room with pool table, bar with ice maker, and guest bathroom. A wood embellished staircase from the kitchen and breakfast area also leads up to the second floor. The master bedroom suite, decked out with a marble fireplace, beckons sanctuary, while the Spa bathroom, with Jacuzzi, shower, and marble flooring, promises luxurious relaxation. California closets organize. A French door leads to a private terrace overlooking the magnificent garden and pool area. A guest room for family reunions. A Native American themed meditation or office room.